Mary Birnbaum was born, raised and educated in New York City. She attended the Cooper Union Art School and the New School for Social Research. She has studied poetry with Fred Marchant, Martha Collins, Yusef Komunaaka, Danielle Legros Georges, and other poets at the Joiner Institute in UMass, Boston. An emerging poet, she has published one poem in the Massachusetts Review. the raw edge of shame. I promise you I will never forget. 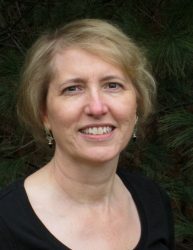 Dorothy Derifield’s work has received an editor’s award from Plainsongs, and has appeared in the Radcliffe Quarterly and Harvard Magazine, among others. 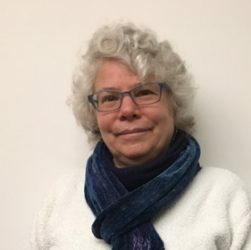 She is the director of the long-running literary series Chapter and Verse in Jamaica Plain and is a member of the Jamaica Pond Poets. She is the author of the chapbook, The River and the Lakes.She lives in Roslindale and has taught poetry groups at Sherrill House, a nursing home in Jamaica Plain. away from you? Subtract trees from sky. 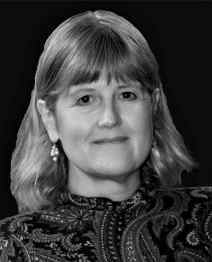 Carolyn Gregory’s poems and music essays have been published in American Poetry Review, Main Street Rag, Off the Coast, Cutthroat, Bellowing Ark, Seattle Review, Big River Review, Tower Journal, and Stylus. She was nominated for a Pushcart Prize and previously won a Massachusetts Cultural Council Award. Her first poetry collection, Open Letters, was published in 2009 and a second book, Facing The Music, was published in Florida in spring, 2015. She is currently working on her third book of poetry. a long stretch beside a dark road. its long melodic line about beauty and belief. I told you I can’t cry. You changed the music to the blues. drawn in by lunatics held in a cage. and another banged against restraints. Fire hoses blast water on what remains. One man’s stabbed at another’s expense. at the turn of her knife. taking measure of our own demons. My sadist slashed your poet. and on through the traffic lights. Holly Guran lives in Boston where she is retired after working at Roxbury Community College. She is a recipient of a 2012 Massachusetts Cultural Council finalist award and has been a presenter at the Massachusetts Poetry Festival. Holly attends the Joiner Center summer workshops. Twilight Chorus, her recent book, has been accepted by Main Street Rag. She is the author of River of Bones (Iris Press), the chapbooks River Tracks (Poets Corner Press) and Mothers’ Trails (Noctiluca Press), and her work has appeared in journals including Slipstream, Poet Lore, Poetry East, Hawai’i Pacific Review, U.S. 1 Worksheets, Borderlands, Worcester Review, Salamander, and Bryant Literary Review. Holly’s books can be ordered on Amazon. To learn more, visit her website poetry-holly-guran.vpweb.com. with a stitched pattern of diamonds. in the large house with a front porch. on the porch and rocked the glider. gathered laughter in their stitches. Audrey Henderson was a 2014 Hawthornden Fellow and a finalist for the 2014 Homebound Publications Poetry Prize. Her manuscript Airstream was published in November. Her poems have most recently appeared or are appearing in Magma, The Midwest Quarterly and Tar River Poetry. She was a finalist in the Indiana Review 1/2 K Award and won second place in the River Styx International Poetry Contest. She is a 2015 Pushcart Prize nominee and was a finalist the 2014 Slapering Hol Chapbook Contest. She is originally from Scotland where she was a contributor to BBC Radio Scotland. Over-wintered apples sagged, oozing liquor. from the tropics pecked at them, grew silly. of an antique shop– some old emperor’s good luck. drunk on love in the wrong climate? 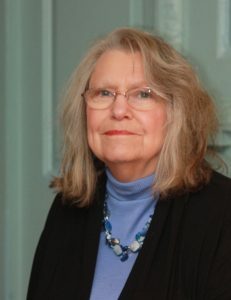 In 2011, Susanna Kittredge returned to the Jamaica Pond Poets after several years on the west coast. While there, she received a Master of Fine Arts in Poetry from San Francisco State University. 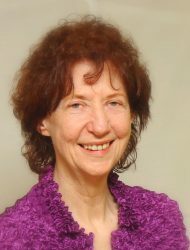 Her poems have been published in many print and on-line literary journals, including Salamander, Bang Out, 580 Split, Instant City, Parthenon West Review, 14 Hills, and Shampoo (edited by former Jamaica Pond Poet Del Ray Cross). Her work has also appeared in the anthologies Sidebrow (Sidebrow, 2008) and Bay Poetics (Faux Press, 2006), as well as the upcoming Shadowed: Unheard Voices, edited by Meg Withers and Joell Hallowell. Susanna currently teaches middle school students in Medford. Her interests include whales, birds, Franklin Park, unusual foods, and the human condition. She lives in Jamaica Plain. with rare steaks passed harpoon-wise across the dining table. no good for forming words at this dim, dawn-cracked hour. In the blue light, my skin is pale and begging to burn. my fussy gums unmolested by hard tack. while I become reacquainted with purpose. The sea is still glassy with night. Using humor and memory to celebrate people and place, Alice Kociemba is the author of the chapbook Death of Teaticket Hardware, the title poem of which won an International Merit Award from the Atlanta Review. 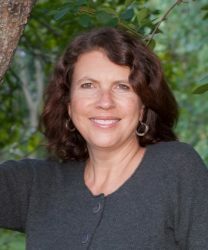 She is a member of Jamaica Pond Poets, a weekly collaborative workshop and is the founding director of Calliope – Poetry Readings at West Falmouth Library, a monthly poetry series. www.calliopepoetryseries.com . When asked, “How did you get interested in poetry?” Alice credits Emily Dickinson with saving her sanity after she suffered a severe head injury in 1986 and couldn’t read, drive or work for six months. Shortly thereafter, Alice wrote her first poem, seizure, about her experience. Her first poetry collection, Bourne Bridge, is forthcoming from Turning Point (the narrative imprint of WordTech) in March 2016. 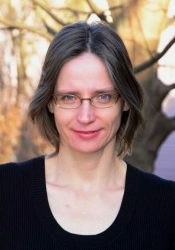 She was a featured poet in the Aurorean and her poems have also appeared in the Atlanta Review, Main Street Rag, Off the Coast, Plainsongs, Slant, Roanoke Review, Cape Cod Poetry Review, Comstock Review, International Psychoanalysis, Salamander and in the anthology, Like A Girl: Perspectives on Feminine Identity. A frequently featured poet, she been described as “the best storyteller I have ever heard”. She has read at Chapter and Verse, opened for Robert Pinsky at the Brookline Poetry Series, and was a panelist and featured poet at the Massachusetts Poetry Festival. 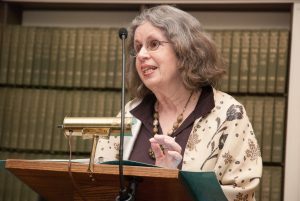 She facilitates a monthly Poetry Discussion Group at the Falmouth Public Library, an outgrowth of “Falmouth Reads Together,” the Favorite Poems Project. Having grown up in Jamaica Plain, Alice now lives in a home overlooking wetlands and works as a psychotherapist in Falmouth, MA. 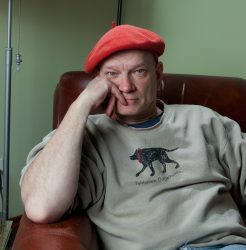 Dorian Kotsiopoulos won second place in the 2011 Common Review/Great Books Foundation fiction contest. She took third place in the Greater Brockton Society for Poetry and the Arts contest for New England Poets. 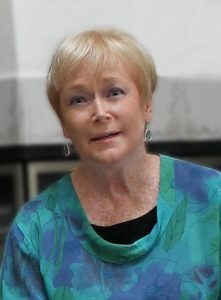 In July 2011, she was the poetry feature at the Brockton Public Library. At the Fuller Art Museum, she read poetry in the galleries as part of an NEA Big Read grant. She participates in the poetry workshops at the William Joiner Center at UMass Boston. 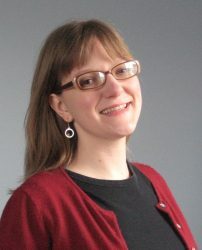 She lives in Canton, MA and works as technical writer/editor. his hard, gold eyes meet mine. He looks at me, good and long. 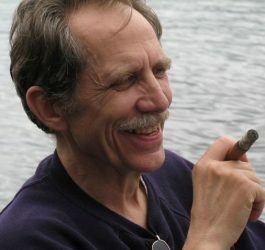 Poet, photographer, generalist, Jim LaFond-Lewis was born seventh in a family of nine siblings where he learned to negotiate a wide variety of personalities and relationships. He spent the first 30 years of his working life as a restaurateur and subsequently, after a brief foray into journalism, earns his living as a candy manufacturer. He has written short stories, a screenplay and volumes of poetry. The Year There Were No Apples is his first published volume. He is currently working on a photographic tribute to a home in the Berkshires and a young adult novel that follows the imagined life of a squirrel. of your very shallow mind. your fearful bright blue eyes. those years before you died. Jennifer Markell’s first poetry collection, Samsara, was published in April, 2014 by WordTech Communications. Samsara was named a “Must Read Book of Poetry” for 2015 by the Massachusetts Book Awards. It was also named a Finalist in the Next Generation Indie Book Awards, 2015. Markell won the Barbara Bradley award in 2016 for her poem “Blue Johnnies” from the New England Poetry Club. She was a Featured Poet in The Aurorean, and her work has appeared in publications including Consequence, The Hawaii Pacific Review, Rhino, and The Women’s Review of Books (forthcoming). A poem of hers was anthologized in Poetry from Sojourner, A Feminist Anthology. Her work has been displayed at Boston City Hall, and she was invited to read at the MFA in Boston. Jennifer works as a psychotherapist with a special interest in therapeutic uses of writing. from a clothesline in back of the shed. Smooth grudges from collars. Touch every button. melting quickly on our tongues. scarf with missing fringe? So be it. The wind fills our pockets. In 2014, Sybille Rex returned to the Jamaica Pond Poets after enjoying the pleasures and pains of motherhood for several years. Between 2002 and 2007, her poetry was published annually in Whorl – a literary and arts journal at Boston University. She also participated in several poetry readings, either as part of a group or as featured poet. Sybille grew up in Germany where she was trained as a scientist – with love for the arts. Before settling in the US over a decade ago, she lived in Switzerland and Canada for several years. Her favorite topics are the natural world – from mountain summits to the sea shore and any living creatures in between – and poetic snapshots taken while traveling the globe. She lives in Jamaica Plain with her husband and two young children. so, have you ever noticed that? Alan Smith Soto, a resident of Jamaica Plain, Massachusetts, was born in San José, Costa Rica, and lived in Madrid for many years. He has published two books of poems, Fragmentos de alcancía (Treasure Jar Fragments) (Cambridge: Asaltoalcielo editores, 1998), with support from the Spanish consulate in Boston, and Libro del lago (Pond poems), published this year in Madrid, Spain, by Árdora Ediciones. His poetry has been anthologized in Poetas sin fronteras (Madrid: Verbum, 2000) and Sabia savia (Segovia: Museo de Arte Contemporáneo Esteban Vicente, 2006). He has published poems in various magazines, including Ínsula, Anthropos, International Poetry Review, Abril, Amén and Plaza. His translation of Robert Creeley’s Life and Death (Vida y muerte) was published in 2000 (Madrid: Árdora Ediciones). Smith Soto has translated and edited a special issue of the International Poetry Review (Spring, 2006: 9-75): Spain’s Poetry of Conscience. 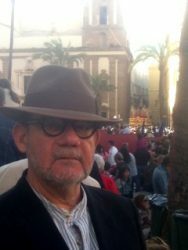 Professor of Spanish literature in Boston University, he has published various books and articles on Spanish literature, and has read his poetry in various cities, including Jamaica Plain; Cambridge, Massachusetts; Santiago de Chuco, Perú; and Madrid. 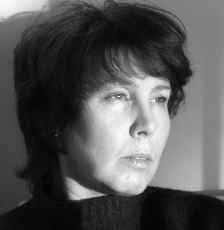 Sandra Storey is the author of the poetry collection, Every State Has Its Own Light, a finalist for the May Swenson Award. Her poetry has appeared in New Millennium Writings, THEMA and the New York Quarterly, among other journals. Sandee was founder, editor and publisher of two bilingual Boston neighborhood newspapers for 20 years. Now she is a columnist for the Jamaica Plain Gazette. She is a member of Jamaica Pond Poets and is co-director of Chapter and Verse Literary Reading Series. She leads poetry workshops where a different “poetic idea” is the focus each week. roar of shower in the wall. Above, a door flaps, closes. to feel the texture of the hour. Gary Whited is a poet, philosopher and psychotherapist. He grew up on the plains of eastern Montana, and a strong sense of place pervades his poems, whether that place is the prairie, the city or the inner spaces we inhabit. His manuscript titled, Having Listened, was selected as the winner of the Homebound Publications 2013 Poetry Contest, and was published in September, 2013. Having Listened offers a collection of poems that speak from the confluence of a childhood on the prairie remembered and an encounter with the haunting voice of Parmenides echoing across 2500 years. Having Listened received a silver Benjamin Franklin Book Award for books published in 2013, and, “Farm,” one of the poems from the book has been nominated for a Pushcart prize. His poems have appeared in several journals, including Salamander, Plainsongs, where he received an editor’s prize, The Aurorean, Atlanta Review, where he received an International Merit Award, and Comstock Rewiew. He is a member of the Jamaica Pond Poets and a contributing author to their first anthology titled This Great Gift, collected poems of grief and healing. He is also a contributing author to a collection of essays in honor of his philosophy teacher, Henry Bugbee, titled Wilderness and the Heart, Henry Bugbee’s Philosophy of Place, Presence, and Memory. and haunch of another horse. in time for evening’s barn chores. beside the one gray and open door.